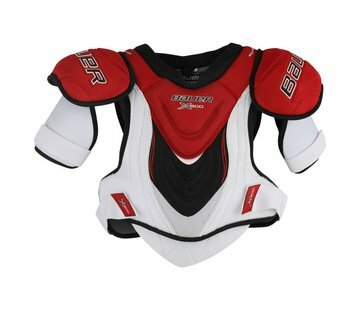 The Bauer Vapor X80 Elbow Pad offers a solid level of performance at a good price. The plastic inserts backed by mid-density foams offer a premium protection for intermediate to advanced level play. The protection supplied by plastic inserts in the bicep and wrist guard provide premium protection and mobility. Mid-density foams in the forearm and covering the injected elbow cap provide another layer of protection. The Free Flex cap construction provides a greater free range of motion, increasing the overall mobility of your arm.